A new European Social Survey (ESS) report analysing attitudes towards physical and mental health in 21 European countries has been published at an event in Paris. The report concludes that a substantial number of Europeans suffer from a wide range of physical and mental health conditions, in part due to their economic and social conditions. The authors also found that promoting healthy lifestyles alone does not seem to be a sufficient strategy for reducing health problems, and should be supported by income redistribution policies and improving physical working conditions. ESS Topline Results Series issue 6: Social Inequalities in Health and their Determinants is based on over 40,000 survey responses gathered across Europe during 2014/15. The European Social Survey has its headquarters at City, University of London. Among the clearest findings is that, across Europe, women are much more likely than men to report depressive symptoms and severe headaches. In all 21 European countries, women reported more signs of depression than their male compatriots, with some countries showing huge discrepancies. The largest discrepancies are found in Portugal (30.9% of women compared to 15.8% of men); Poland (25.3% compared with 11.3%); Spain (24.7% compared with 12.8%) and Germany (20.2% compared with 9%). Over a quarter of women said they experienced depressive symptoms in four countries: Portugal, Czech Republic, Hungary and Poland. Only in Hungary did more than 20% of men say they suffer in this way. Women are also much more likely to report suffering from severe headaches across Europe - split between genders, the 12 countries with the highest rates are composed of the female population. Those who suffer from severe headaches range from a high of 30.2% amongst French women to a low of 3.8% amongst Irish men. There is a significant gender gap when looking at current smoking rates: the 13 highest rates of smokers are male, with men in Lithuania (48.8%) and Hungary (41.3%) the most likely to smoke. 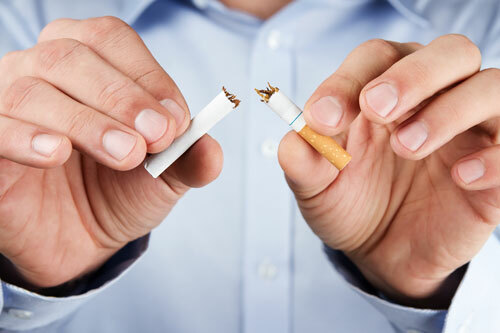 The report finds that self-reported smoking rates are much lower in northern Europe, the UK and Ireland and considerably higher among men in central and eastern Europe. In combining male and female smoking rates, Sweden has the least number of smokers, with under 15%. This statistic is made even more striking when looking at the number of Swedes who previously smoked - 77.8% of men and 76.2% of women (the two highest rates in Europe). High percentages of former smokers and low rates of current smokers are prevalent throughout the Nordic region, particularly in Sweden and Norway but also in Denmark and Finland. Among current smokers, the percentage smoking more than 20 cigarettes on a typical day is particularly high in Austria, Poland and Israel. Binge drinking rates are particularly high in the UK and Portugal - frequent binge drinking is rare amongst the Nordic countries, and amongst women in central and eastern Europe. Looking at the quantity of alcohol consumed in all 21 countries, men consume almost twice as many units as women, and weekend day consumption is almost twice weekday consumption. The number of units of alcohol consumed is particularly high in Ireland whilst low rates of frequent alcohol consumption are reported in Israel and central and eastern Europe (especially amongst women).